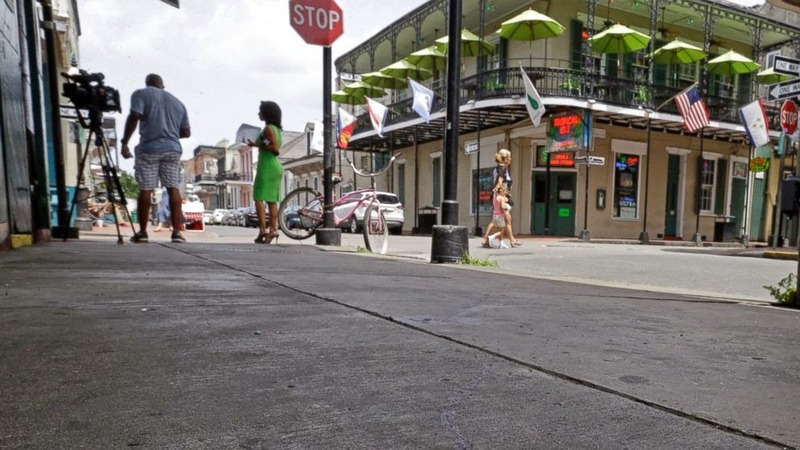 New Orleans, La(AP) -- Police continued searching Monday for two men who exchanged gunfire on Bourbon Street in the French Quarter, leaving nine people shot in the crossfire, including two who were in critical condition. Police placed several views for the shootout online asking for the public's help in identifying the two shooters. New Orleans Police Chief Ronal Serpas said six victims were hospitalized in stable condition. The other victim's condition was not available. Some of them were tourists. Their names were not immediately released.